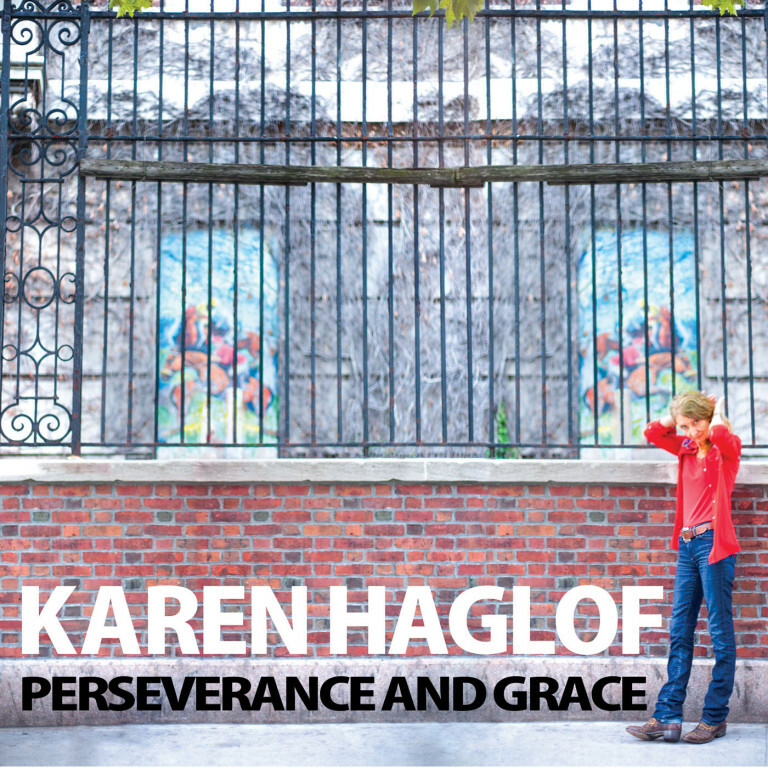 ALBUM REVIEW: KAREN HAGLOF, "Perserverance And Grace"
2014′ s Western Holiday was a stunning solo debut from guitarist-turned-oncologist-turned guitarist again, Karen Haglof. Recorded in Brooklyn’s Cowboy Technical Services Recording Rig – run by guitar legend Eric “Roscoe” Ambel and produced by another legend, Steve Almaas, the songs were just an out-and-out rock & roll marvel. So it come to be that now, Ms. Haglof’s second album, the deftly-titled Perseverance And Grace is about to be unleashed to the public and I would say has surpassed its predecessor (!). Part of it may be due to working in different atmospheres – Cowboy Rig, Mitch Easter’s Fidelitorium in Kernersville, North Carolina and Old Colony Mastering in Boston – and add the continuing of working together with the same core players (Ms. Haglof on guitar, Mr. Almaas on bass and guitar and Mr. C.P. Roth on drums and keyboards) to give it that even-more seasoned sound (plus, special guest vocalist Liza Colby does not hurt at all…). Take one listen to the title track and you can easily understand why – it’s a thumper of grand proportions with a snaking guitar riff and a stripped-down crispness you can’t get out of your head (we premiered it here a few months ago); “Monday Under My Belt” has a groove-y throttle and a good-time feel and “Cobwebs” is a sweet, reflective piece, tempered by a wonderful organ undertone. “Steel Blue Hills” would fit right at home in any juke joint; “Tornado (Through The Bottleneck)” is swampy and filled with joyful ups-and-downs with its sliding riff and “Cool Down” is just the right vibe for the album’s closer – lighthearted and warm. Two albums good and Karen Haglof is undoubtedly off and running. And she manages to do it with the inevitable perseverance and grace that adorn the songs which make up this collection. You owe it to yourself to check out her work – you really do.